Professional wrestler who previously competed as a powerlifter and a rower. 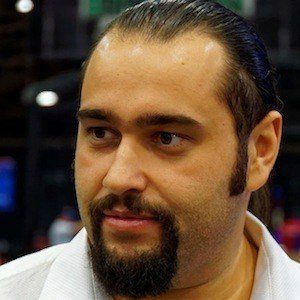 He became the first Bulgarian to wrestler for World Wrestling Entertainment in 2010. He made his wrestling debut as part of the independent circuit starting in 2008 and won his debut versus Aerial Star. He has been called The Bashing Bulgarian, The Bulgarian Brute, and The Super-Athlete. He emigrated from Bulgaria to the US and lived in Virginia, California, and later Florida. He married CJ Perry in 2016. He defeated Consequences Creed, also known as Xavier Woods, in 2014.